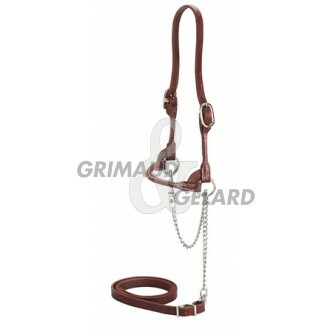 This rounded leather halter is thinner on the neck and cheeks to highlight the showed animal. The chain is thinner than a classic rounded halter as well. High-end product with two leather buckles and rein.